Graphs one or more functions of a single variable, with zoom in/out and other nice features. Find the domain and range of a function given its graph. This applet allows the user to investigate changes in the graph of the exponential function y = b^x as b changes. 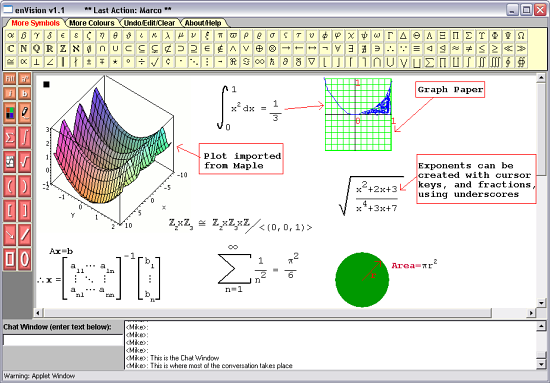 This site offers tutorials for the many aspects of graphing linear equations, including solving systems of equations. The website has lessons for the course Algebra 1 with interactive activities using geoabra.